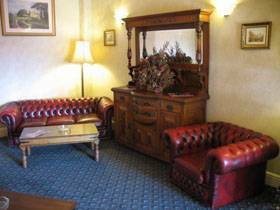 The Stafford Hotel is located in the heart of the picturesque ancient city of Chester. Chester was founded in 79AD by the Romans and offers many visitor attractions, both ancient and modern. Within easy reach of the surrounding Cheshire and North Wales countryside you will be ideally placed to make the most of your stay in this beautiful city. 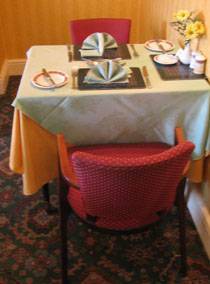 At the Stafford Hotel we offer superior accommodation with excellent service to ensure you have a comfortable stay. Situated in the centre of Chester and less than a 2 minute walk from Chester train station we are in a prime position for both business and leisure visitors. As a family run business we provide a warm and friendly environment. There are a variety of different sized rooms to choose from, all ensuite. For the ideal family holiday accommodation we have family rooms. 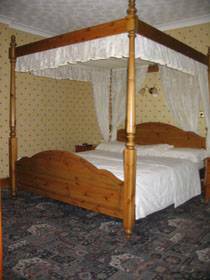 There are also a range of room options to suite your taste, including four poster beds. 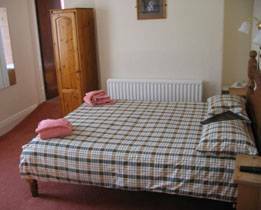 All rooms are en-suite with TV, radio alarm clocks, telephones hairdryers and hospitality trays. 4 poster and ground floor are available. There is a pleasant residents lounge and bar . Reservations must be cancelled one day in advance of your arrival date. In the event of a no show or a cancellation in breach of this policy, an amount equivalent to one night average cost of accommodation will be charged. 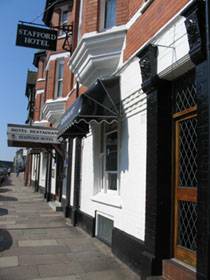 The Stafford Hotel is on the main road leading from the railway station to the city centre, close to the inner ring road. When walking from Chester train station proceed through the station exit. City road is straight ahead. Continue on foot for approx 300 metres and the hotel is on the right. Leave the motorway following the signs to Chester and continue down Hoole Road (A56) until you have gone over the railway bridge. At the traffic lights, take the left lane and turn sharp left towards the station. Turn right at the railway station and the Stafford Hotel is 300 metres on the right. Proceed towards the city centre until you meet the inner ring road at a large roundabout (traffic lights and buildings in the middle). Take the last exit towards the railway station into City Road and the hotel is on the left over the canal bridge. Leave the A55 at it's junction with the A483 and turn left following signs to Chester. Continue until you have crossed the River Dee. Proceed straight on at the roundabout onto the inner ring road (through two sets of traffic lights) circling the city in an anti-clockwise direction. After approximately half a mile, you will be guided into a one-way system, which will take you to a large roundabout. Take the second exit towards the railway station, into City Road, and the hotel is on the left over the canal bridge.